Every year, the Prairie School Foundation plans to distribute funding to each school building based on the certified enrollment in grades AK through 12. Assume enrollment is 6,000 students. $38,500 divided by 6,000 equals $6.42 per student. There are about 900 students at Prairie Creek. Multiply $6.42 times 900 to find that there will be $5,778 dollars allocated to Prairie Creek. Requests should be submitted by building representatives anytime between October 1st and February 1st of the current school year. Each building will form an allocations committee to include the principal and teacher representatives. The committee should name a chairperson from among the building representatives to serve as a liaison between the school and the foundation. It is the goal of the foundation allocations committee to communicate with the building liaisons at various times during the year. The liaisons may contact the Allocation Committee through foundation Operations Manager, Tina DuBois, whenever the need arises. Open lines of communication are the key to the success of the process. Building committees will be advised of the funds available to them annually in October after the annual count day. The building committees will propose projects to be funded for their respective buildings. They will submit, in writing, a brief description of the projects it wishes to fund and the cost of each project to the Foundation Allocations Committee through on-line documentation between October 1st and February 1st. Building committees may request all of its annual funding in the first submission. The Allocations Committee will review the funding requests on a regular basis. Action taken on the requests will be given to the building committees through use of on-line documentation. Funds should be used for projects or items that have a long-term impact and benefit the highest number of students. Past financial support does not establish entitlement for additional/continuing support or set a precedent for future funding. Funds must be used to supplement the district curriculum, not supplant it. Funding for large group projects should go through the building allocations process. Additional funding from the foundation may be requested by contacting the foundation allocation committee via foundation Operation Manager, Tina DuBois. The Foundation appreciates pictures, videos, testimonials, or other types of information to be provided from schools utilizing the funding. Information being provided to the Foundation assists in our ability to report to donors the impact of the dollars they have given. Labels available from the foundation should be used to mark books and other materials that are purchased from foundation funds. A major purpose of the Prairie School Foundation is to provide financial support to improve learning opportunities for staff and students in the College Community School District. Part of our success in providing funds is effective communication with the staff, donors and prospective donors. Involve many staff members in making the decision about how building funds will be spent. Staff members will become more aware of the availability of funds from the foundation and the decision making involved in determining how to allocate them. Staff members are also communicators who will tell neighbors and friends about the work of the foundation. When purchases are reported to the foundation, we will then inform foundation members, donors, and potential donors about district items that were bought using foundation funds. Recognize the purchases provided by the foundation in your communications. The patrons understand the work of the foundation the more likely they are to support our fundraising efforts. Please let us know if we can be of assistance in the allocations process. Contact the Operations Manager, Tina DuBois, tdubois@crprairie.org. From time-to-time special projects or initiatives will be identified by teachers and/or administrators in the Prairie Schools. Please refer to the foundation’s Grant Approval Policy. Most recently the PSF Board has given funds to supplement the PBIS program to improve student behavior. The funds are used to celebrate observed, positive, student behavior. Funds have been made available to provide more clubs for Creek, Point and High School students. Participation in student clubs has proven to improve grades, increase student retention and graduation rates. The foundation joined two other funders to provide a digital wall display in the south gym. It is estimated that the display will be viewed by 50,000 spectators annually. 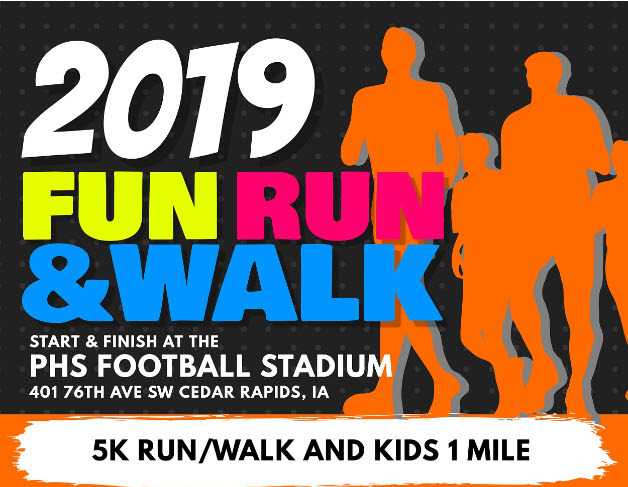 Programed by students, the unit will show upcoming events in athletics and the arts as well as provide interesting facts about Prairie Schools for our supporters and visitors.